There’s a wealth of learning to be found in these challenges. 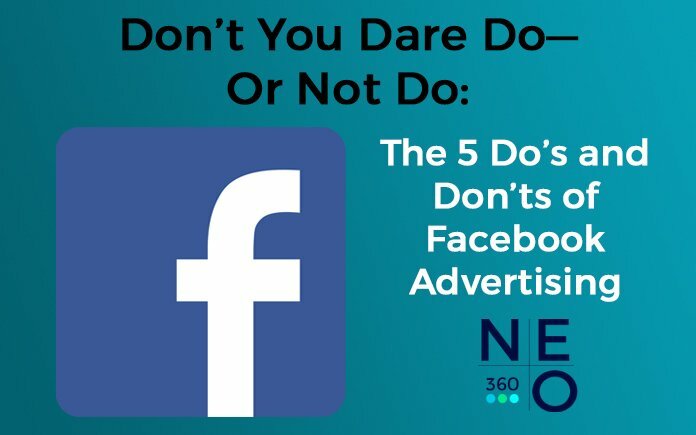 We’d like to share some of those challenges now to help our clients and other business owners who are using or who are considering the use of Facebook Advertising. DO make sure your website is ready to go. Starting your Facebook campaigns only when your website is ready and stable will give you more campaign options. One such option is to use Facebook pixel tracking, which enables the capture of website traffic for use in remarketing campaigns, wherein those who visit your website via Facebook ads may be targeted. Facebook can also be used to drive traffic to your website at the same time. Landing pages can likewise be introduced on Facebook for “warming up” the target audience or preparing them for “high commitment” campaign objectives. This can provide valuable inputs on how social traffic reacts to the landing page, as well as insights on how to improve it. A funnel is like a game plan or a design, if you will, that outlines which marketing activities are carried out during a specific phase in the buyer’s journey of your target audience. You would logically have a different marketing activity or campaign, for instance, when your audience has never yet heard of your product or service, from when they’re on the verge of buying it. Page Post Engagement or PPE ads are a way to extend the reach of your posts and to encourage more people to engage or interact with them. As part of a funnel, PPE campaigns are a great way to further explain why your target audience should buy a particular product or service when they’ve already heard of it. Running a PPE campaign concurrently with a Lead Gen campaign may result in an inability to isolate the people who engaged with any post or ad custom audience. Such simultaneous campaigns may very well lead to Lead Gen campaigns aimed at a cold audience, resulting in poor and expensive leads. The collected Engagement Custom Audience then can be retargeted with a Lead Gen campaign. For its part, the Lead Gen campaign, which offers leads and launches promotional activities using a “Learn More” or “Ask Us” angle, may be used to encourage the target audience to consider the services. This may then be followed up with a lead generation campaign using a “Book Now” angle, or a website conversion campaign if your website is up and running. A PPE campaign used only for introducing a product or service, instead of showing potential customers how the product or service addresses their particular problems, is an ad angle that just falls short of acquiring thoughtful engagements from the audience. Funnels are designed to increase conversion rate and to spend the advertising budget efficiently, and at NEO360, we successfully use funnels for our clients. DO Split Test—but do it carefully. Running ads blindly means spending the entire budget on either achieving nothing, or getting conversions, but not knowing what led to those conversions in the first place. Even Facebook metrics are very uncertain. Metrics that show a high click-through rate or CTR, sometimes do not guarantee conversion and vice-versa. Not following a funnel and over-optimising a campaign not only costs money, but sows confusion, as well. Where it remains possible that even mature ad accounts with highly relevant target audience segments, effective ad copy and converting landing pages can lose money, how much more would it be for a new ad account with no data, no funnel, and no stable website that does not split test correctly? Running split tests on campaigns where the copy and the accompanying images have yet to be finalised not only costs money but also clouds data, which in turn may yield false positive results. 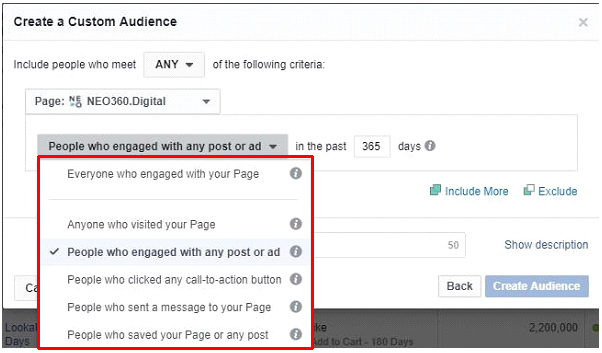 You would do better to use Facebook’s split testing feature to test several campaign aspects using a small part of the budget before actually running the campaigns. Testing the creatives for the right image, background colour, headline, call-to-action, etc., as well as testing the audience is highly recommended. With mature ad accounts, Facebook already knows which audiences are relevant and generate more reactions to the advertiser’s ads. That is why even if the targets are broad, Facebook compensates by auto-optimising campaigns, exposing ads only to those who are likely to convert. Using a broad target to achieve a lower CPM (or cost per 1,000 ad impressions) could result in ad exposure to audiences that are far from your target customer persona. Take note that if the target audience is continually edited to apply certain location-specific filters while ad sets are still in Facebook’s learning phase, the learning phase will reset every time something was changed within the ad set. Facebook needs 50 results for its learning phase to determine which ad set works. DO explore new post types and campaign objectives. Conducting a Facebook campaign encourages the use of new post types and campaign objectives that result in lower spending. Try exploring “low commitment” campaign objectives such as getting the target audience to “send a Facebook message”. Such objectives may help you receive messages from potential clients at lower cost. Using carousel and video posts may also result in a better CTR and a lower CPM; the latter allowing you to reach more people. This, in turn, could hasten the process of identifying which target audience is more relevant. Having years of experience working with similar clients is invaluable in working to generate more leads. Even as Facebook Advertising continues to evolve, it is also this experience that sets an expert digital marketing team apart. Contact us to put NEO360’s experience to work for your business, today. For marketing communications to be truly effective, your brand needs a comprehensive campaign that will be able to reach your customer where they are, and that can be adjusted as needed.